Peace, Love and Ice Cream! : A Few New Things: A KIND Review & I bought protein powder! A Few New Things: A KIND Review & I bought protein powder! I did the 15 Minute Home Workout Ab, Arms, Booty Blast - it was a blast from the past (April of 2012) - and it was awesome!!! There were a few exercises that I had never done and I always love trying new moves! It was challenging (I was sweating!!) and fun and only 15 minutes! :) And as of this morning my booty is definitely feeling it! I felt like a kid on Christmas - so many yummy options!!! The arrows point to my FAAAAVORITE (What? I'm subtle! LOL) - peanut butter dark chocolate....um, yes please! :) My husband enjoyed a few as well! To my pleasant surprise, they were all really good! You could really taste the flavors; they really delivered in taste and texture. Now I see what I've been missing! Along the lines of 'trying new things', I finally bought protein powder!! 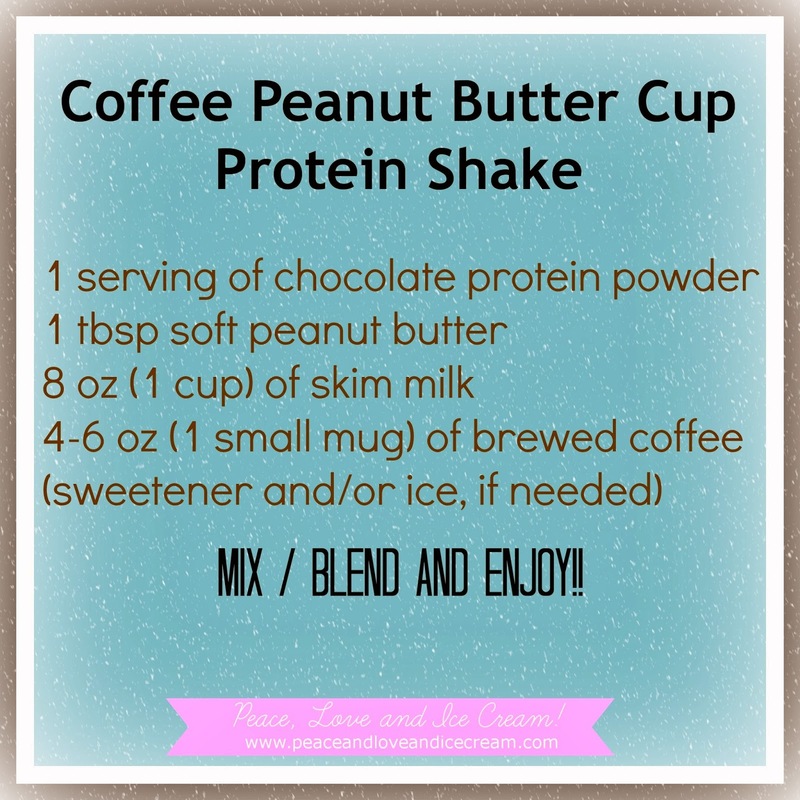 This shake was pretty darn good! Especially for my first experience! I picked this protein powder randomly and I think it's a winner! 2 scoops is only 100 calories and 15g of protein - which I think are pretty good stats....am I right? And while we're on the topic....how much protein SHOULD I have in my shakes? I eat a balanced diet, and I'm (obviously!) not a heavy weight bodybuilder, so I'm just not sure! The Blender Bottle (that I picked it up at Walmart) really worked to mix all of the ingredients without having to use the actual blender. It has a super cool stainless steel mixing ball inside and apparently, it's the bomb! When I want to blend ice and/or frozen fruit (or fruit in general!) I'll have to bring out the actual blender, but this recipe just required a vigorous shake and it was all good! I'm excited to really get in the kitchen and try new recipes to discover what shakes I LOVE! And of course I'll be sure to share them with you!!! 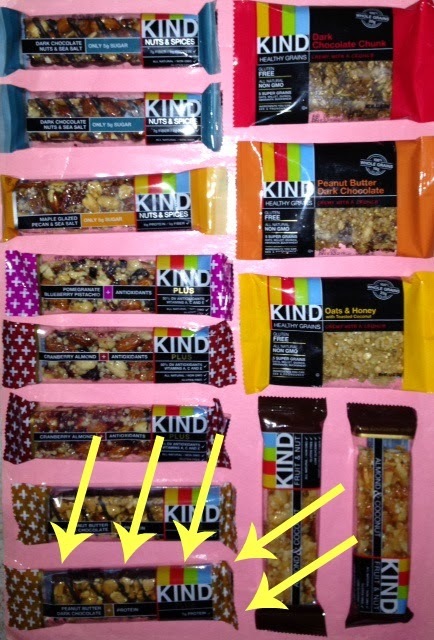 What's your favorite KIND bar? 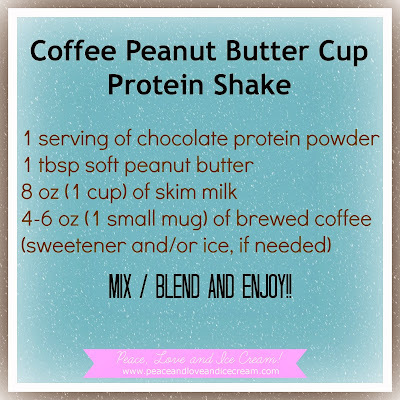 What's the yummiest protein shake recipe that you make? Please share with this newbie! !